Dr.-Ing. Tobias Fiebig is an assistant professor in the Information and Communication Technology section at the faculty of Technology, Policy and Management of TU Delft, focusing on identifying and mitigating human-factors based and preventable security issues in IT systems—like those all too common in the Internet of Things. For this, Dr.-Ing. Fiebig uses qualitative research methods, but also develops new tools for the future-proof Internet scale assessment of vulnerabilities. 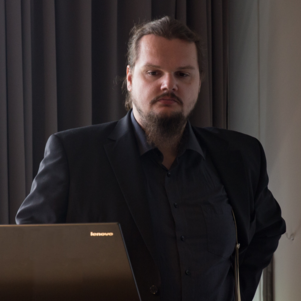 His most recent publications include a significant contribution towards making the IPv6 Internet scanable, understanding and mitigating the impact of DNS misconfigurations in the DNS ecosystem, and the first study on system operators’ perspective on security misconfigurations. Before joining TU Delft, Dr.-Ing. Fiebig was a visiting researcher at UC Santa Barbara and a researcher at TU Berlin, where he completed project “enzevalos”, which he acquired for Prof. Jean-Pierre Seifert in 2015. Tobias Fiebig received his Dr.-Ing. from Prof. Anja Feldmann in 2017, when she was also at TU Berlin. He recently received a H2020 grant for Project SafeDEED as co-applicant to PI Dr. de Reuver, who is the main applicant from TU Delft. In addition to the academic reception of his work, Dr.-Ing. Fiebig is also a regular speaker at industry events like the ICANN DNS Symposium, and recently contributed to a joint effort of industry and government experts on compiling a list of “Cybersecurity Best Practices” with a chapter on the principles of secure protocol design. He is also actively involved in the Internet Engineering Task Force (IETF) where he works on improving the resilience of protocols against common misconfigurations. I regularly teach ICT Risk and Control (TB341IB) and Data Analytics (SEN1631). I also teach a lecture in Integrated Design of I&C Architectures (SEN1641). You can always contact me about applied thesis topics in computer security—there is always something fun available.